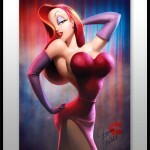 Sideshow has posted a pre-order and gallery for their upcoming Jessica Rabbit Premium Format Figure. Awesome, but I would totally feel like a perv. I felt kind of skeevy posting it. I felt skeevy looking at the pics. But I always feel weird when it comes to her, regardless of the source. Don't put these under a blacklight. Yeesh. 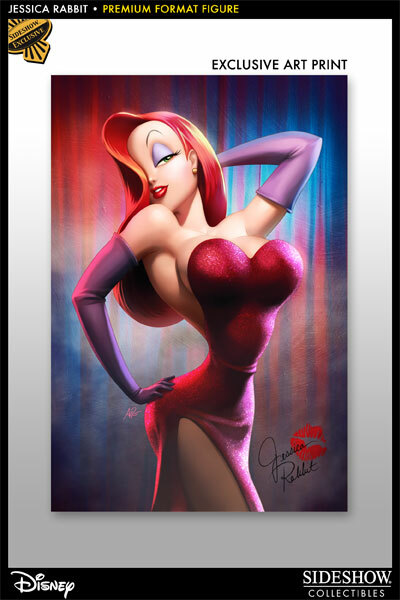 she's hands down hottest cartoon character made, I love the statue, especially the penquin that goes with her, but this is 2 upscale and pricey for my collection.